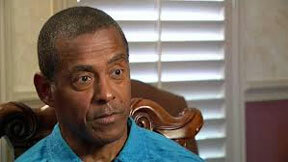 The recent news about NFL Hall of Famer Tony Dorsett was more than unsettling. Having been diagnosed with the early stages of chronic encephalopathy (CTE), an illness directly related to head traumas, he feels his life slipping away from him. At the age of 59, he faces an uncertain future, yet it is a future that has confronted many football players, past and present. Dorsett was part of the group of former football players who settled with the NFL recently for $765 million in connection with conditions such as CTE that have resulted from their football years. The settlement itself was highly controversial since it underestimates the extent of damage done to football players and, in effect, lets the NFL off the hook. Nevertheless, many former players were desperate for a settlement in order to address their ongoing medical problems. Dorsett was a star among stars, someone who seemed nearly invincible in his greatness. Nevertheless, careers end and the physical damage inflicted on the players over the years takes its toll, resulting in conditions such as CTE and a shortened life-span for these modern-day gladiators. When we hear the news about former players, such as Dorsett, most of us shake our heads in both sadness and frustration…and then we turn on the next football game. We create a peculiar sort of disconnect between the reality of the injuries faced by these players, and the activity that so many of us watch on any given Sunday. We do not stop and think about the sorts of demands that we, the fans of professional football, need to place on the football industry in its entirety. The issue of safety is not one exclusive to the NFL. It really is a matter that must be addressed when high schoolers start playing and then when they work their way to college. The injuries start early and there is no scientific certainty as to how many injuries ultimately result in conditions such as CTE, not to mention countless other challenges, such as injuries to bones and joints. There comes a time when shaking our heads, as those watching the gladiators competing on Sundays, makes us complicit in the misery that many of these players face upon the end of their careers. Perhaps it is time to join with the NFL Players Association in demanding greater steps to address safety, but also appropriate medical care and long-term assistance for the players when they have moved on. To do otherwise feels no different than the equivalent of watching the gladiators do battle in the ancient Roman coliseums. The only difference seems to be that death was quicker in the coliseum. Today, we allow our modern day gladiators to end their lives slowly in misery and absent dignity. Bill Fletcher, Jr. is a Senior Scholar with the Institute for Policy Studies, the immediate past president of TransAfrica Forum, and the author of “They’re Bankrupting Us” – And Twenty Other Myths about Unions. Follow him on Facebook and at www.billfletcherjr.com.